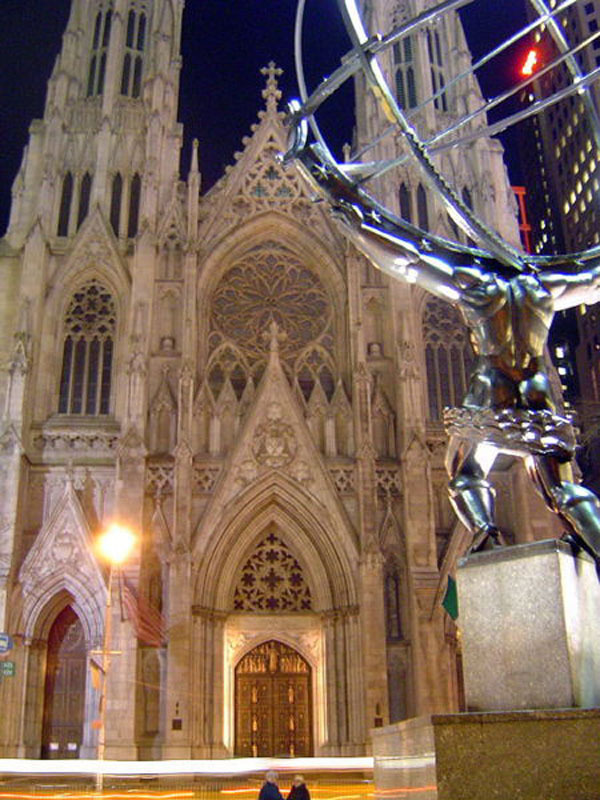 St. Patrick’s Cathedral is the largest decorated Neo-Gothic-style Catholic Cathedral in North America and has been recognized throughout its history as a center of Catholic life in the United States. It is the seat of the archbishop of the Roman Catholic Archdiocese of New York. This Cathedral is located on Fifth Avenue between 50th and 51st St.. It faces Rockefeller Center, another building complex worth visiting. 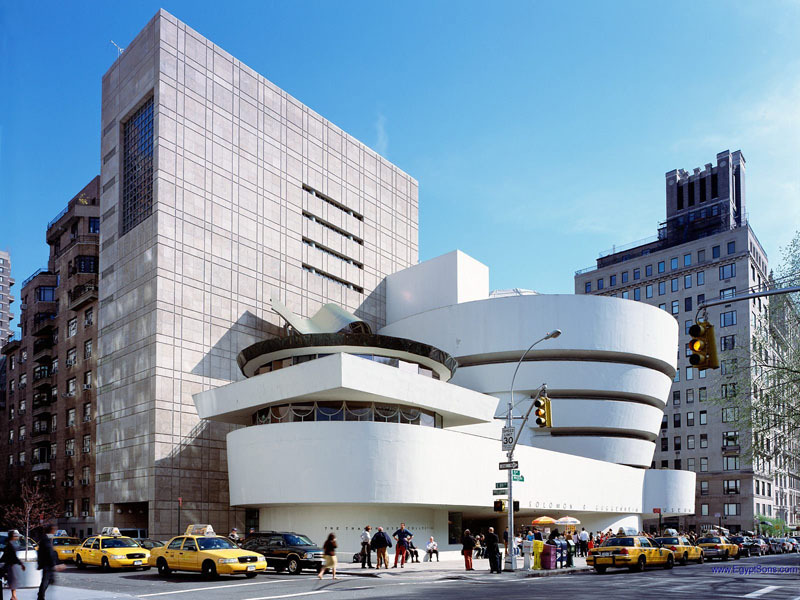 The Solomon R. Guggenheim Museum is a modern art museum located on the Upper East Side at 1071 Fifth Avenue by 88th St.. It is one of the best-known museums in New York City, and even the world, thanks to its unique design. The distinctive building, designed by Frank Lloyd Wright, looks like a white ribbon curled into a cylindrical stack that is slightly wider at the top than at the bottom. Its appearance is in sharp contrast to the more typically “boxy” Manhattan buildings that surround it. On the interior, the viewing gallery forms a gentle spiral from the ground level up to the top of the building. 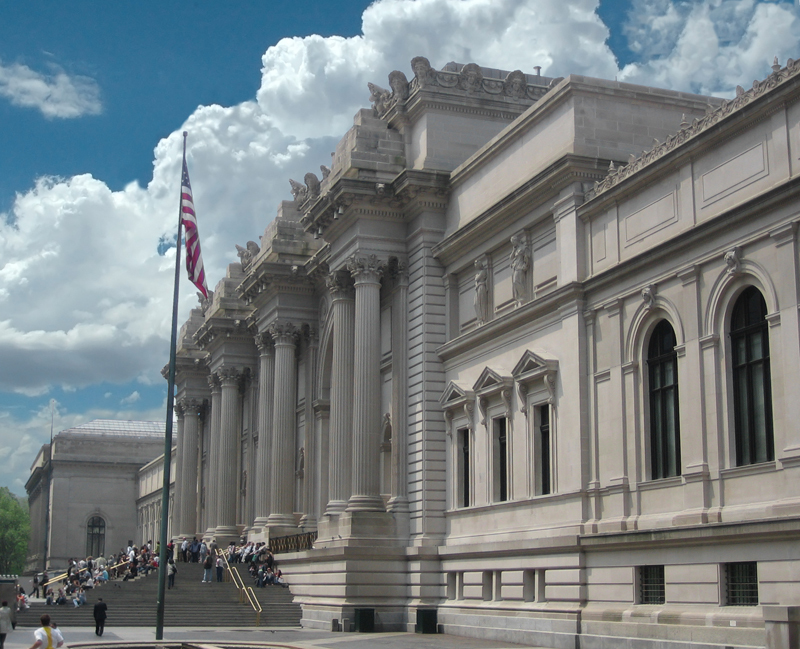 The Metropolitan Museum of Art, also known as “The Met”, is one of the world’s largest and most important art museums. The main building is located on the eastern edge of Central Park on 5th Avenue at 82nd St., along what is known as Museum Mile. It was designated a National Historic Landmark in 1986. 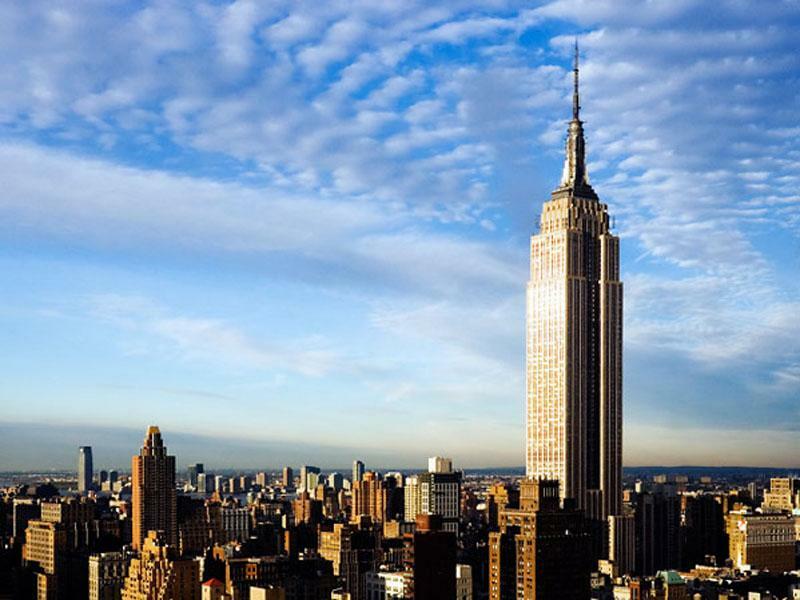 The Empire State Building is a marvel of engineering and architecture, and it occupies a unique place in the history of this city. The Empire State Building is an Art Deco skyscraper with 102 floors located at 350 Fifth Avenue, between 33rd and 34th St.. Its name is derived from the nickname for the state of New York, The Empire State. It stood as the world’s tallest building for more than forty years, from its completion in 1931 until construction of the World Trade Center’s North Tower was completed in 1972. Following the destruction of the World Trade Center in 2001, the Empire State Building became for the second time, the tallest building in New York City. The Plaza Hotel, considered as one of New York City’s finest hotels, was designed imitating the style of a late medieval French chateau. This hotel brought the elegance that today characterizes Fifth Avenue. The elegant lobby contains ornamented archways, pillars, and marble floors. This, combined with a usage of the color gold, gives the hotel a wealthy upper-class appearance. 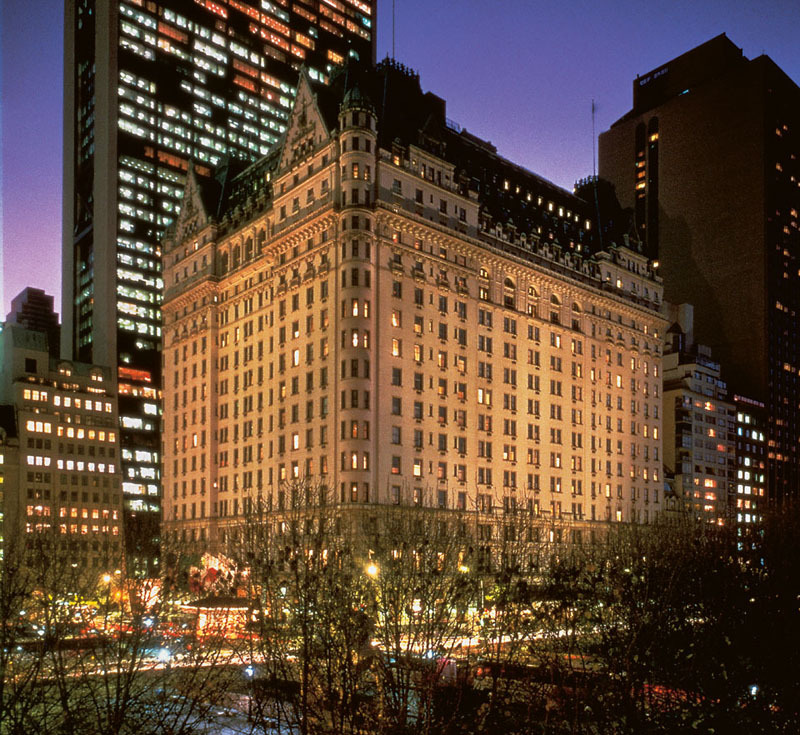 The hotel is located at Grand Army Plaza, Fifth Avenue at 59th St. In addition to these buildings previously mentioned, New York City offers so many other architectural highlights that are also worth visiting. I recommend you walk freely through the city blocks, which is the best way to discover and appreciate this city’s architecture. Norbert Figueroa is a young architect that spends his time traveling and exploring the world. You can find more about his travels and additional travel tips at GloboTreks Travels.